As a separating parent, it is only natural to be interested in more information about the process and rules behind California’s child support system. From healthcare to education, food, rent and the myriad of other expenses relating to raising a child, you have any number of reasons to be worried about both their short-term and long-term future. The courts have enumerated several child support guidelines which were specifically designed to help parents navigate the legal process and provide some expectations regarding what parents might be paying or receiving in terms of child support. With around half (48.7%) of the country’s estimated 13.4 million custodial single parents receiving some type of legal or informal child support, it is important that separating parents understand the basics of how child support actually works. This post will briefly review some of the most frequently asked questions regarding child support in the state of California. Please note that as each child support case has its own special circumstances and your case is likely to have a unique set of facts that could significantly impact the amount of support due. The information below is meant to convey the general guidelines and is not meant as case-specific advice. 1. What is the purpose of the child support law and how is it defined? 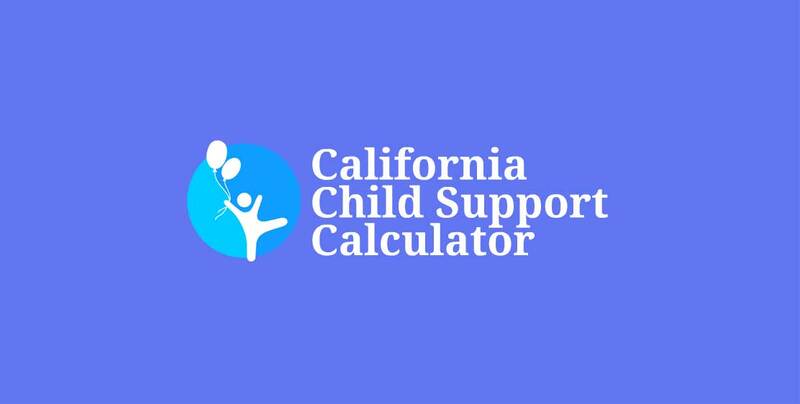 Section 4050 of the California Family Code, is the starting point to every child support order. Known to attorneys as defining the guidelines to determining child support, this statute has two primary purposes. The first is to provide children with a support amount that is sufficient to help the custodial parent maintain a close approximation to the standard of living enjoyed during the relationship, while the second is to allow for the consistent calculation of that support between applications to different cases to avoid favoritism or prejudice. As the number one interest of the state of California in these proceedings is child welfare, the general purpose of the regulations is to compel parents to provide monetary assistance, health insurance coverage, day care, and other services for their dependent minor(s). 2. How does a parent request child support? A California Department of Child Support Services action (via a local child support agency). On the date of the hearing, the assigned judge will evaluate the facts of the case, listen to testimony under oath from both parties, and sign an order based on the circumstances of the case. If there are separate disputes regarding parenting time, income, or other issues that could potentially impact support, the court will hear those issues as well. It is important to note that although the steps listed above are standard procedure for when a parent would like to adjudicate a support petition in court, it is not always necessary to do so in order to obtain child support. Many parents come to an agreement through a mediation process, allowing parents to draft their own agreement, sign it, and take it to a judge for review. If the judge signs it, the agreement becomes an official court order. The resulting support number is called a “guideline amount,” and acts as a baseline for the court’s order of support. This baseline order is not the end of our inquiry, however, as the parties may have other recurring costs related to the child that should be considered. This means that parents could, in theory, be ordered to pay each other additional child support inthe form of add-ons. California Family Code Section 4062 lists two types of childcare add-ons: mandatory and discretionary. For the reasonable uninsured health care costs of a child. It is important to note that although add-ons are to be shared equally by parents, the court is authorized to allocate them based on each parent’s net spendable income should equal apportionment be deemed unreasonable. 4. Can child support orders be changed? If any of the above arise, however, a parent cannot simply stop making their court-ordered payments, but must formally file a request for a modification of the previously issued support order. It is absolutely imperative that you ask the court, as soon as possible, for a modification to the support order following a change in circumstance. Each day that passes is another day that support is paid pursuant to the wrong numbers. Modifications to the order will be effective on the day that the motion is filed, not the day of the hearing. Once a court reviews a modification request, the same factors that were reviewed for the original order will be considered and, if a significant change has occurred, support will be recalculated If a change in circumstance cannot be demonstrated then the request is likely to be denied. While this post has covered some basic, and common points on California child support law and its governing body of regulations, it is by no means exhaustive. Parents looking to efficiently and amicably handle a request for child support should enlist the assistance of an experienced attorney from a reputable firm. For more information on how our legal team can help, don’t hesitate to contact our offices to schedule an appointment.